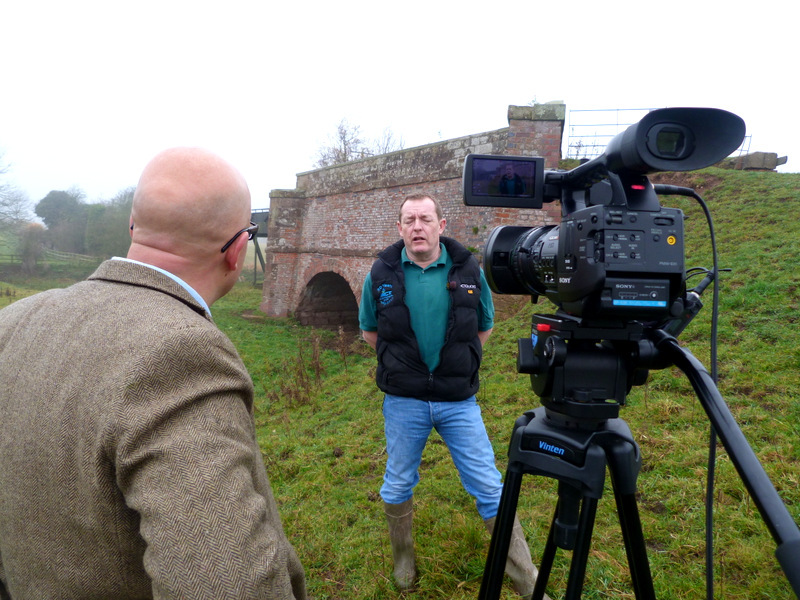 Filming and interviewing Kevin Walker from the Canal and River Trust. I thought I would share some of the photographs that my assistant cameraman has been taking behind the scenes while we have been on location in Shropshire following the story of the Abandoned Canal for an episode of the Bald Explorer. 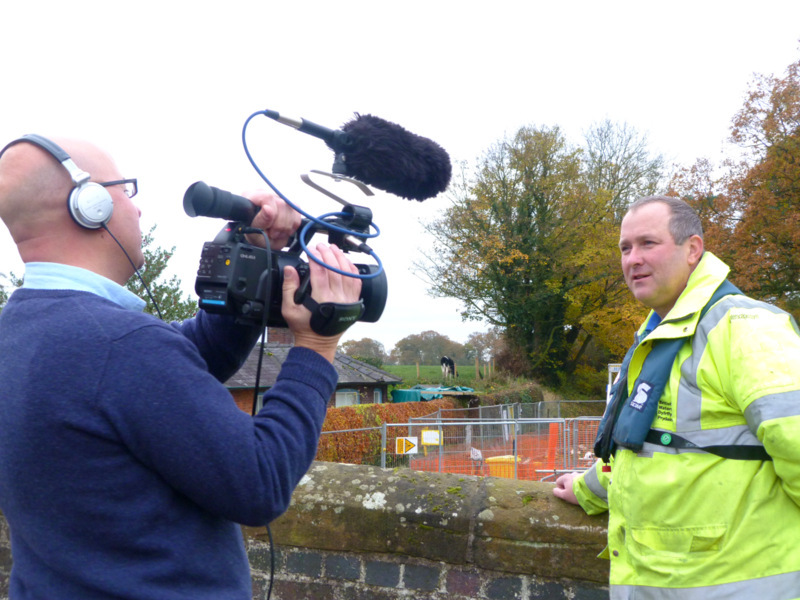 The above is a little hand held interview with Kevin Walker from the Canal and River Trust at Audlem. The team are out in the cold winter weather replacing lock gates, sills and carrying out general maintenance on the 200 hundred year old Shropshire Union Canal. I wanted to find out how often this procedure took place and what was involved. On board Karen Bayley’s new home. 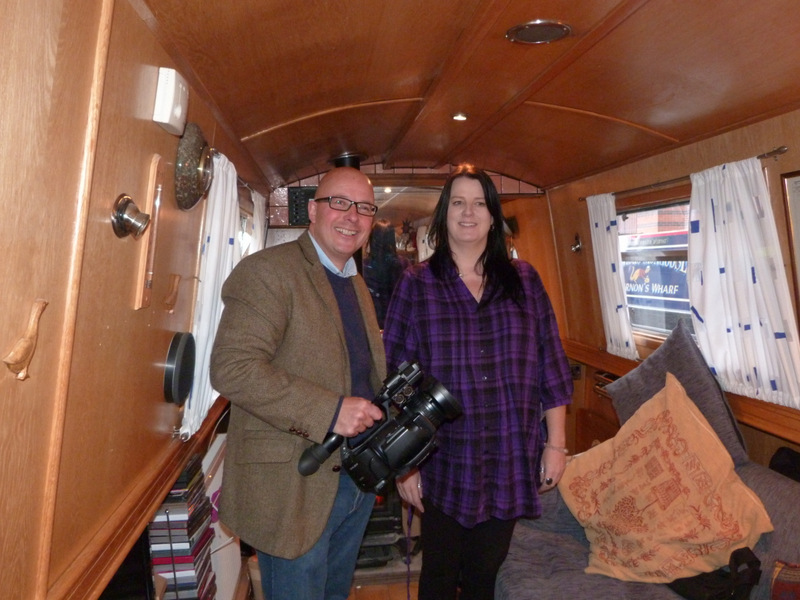 Karen Bayley has just moved from a large modern flat to a narrow boat on the canal in central Birmingham. She is a single lady and I wanted to find out how she coped with all the changes that faced her with this new life on the water. Karen also related to me the story of her first 30 mile journey on the canal and how her eighty year old father managed to fall in twice. James Boffey owns the land that the Longdon-on-Tern aqueduct stands on. The oldest surviving cast iron canal aqueduct is at Longdon-on-Tern on the abandoned Shrewsbury to Newport navigation that the S&N Canal Trust are planning to restore. James Boffey is the farmer whose land it sits upon and he told me about the privilege it is to have this ancient monument on his farm and the interest it creates from canal enthusiasts. 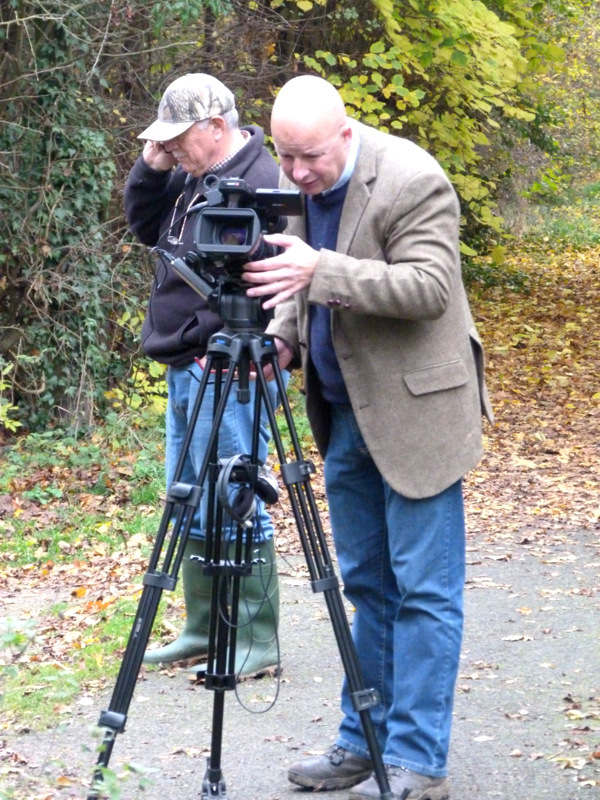 Filming on the abandoned canal route with Bernie Jones busy on the phone. The ever busy and energetic Chairman of the Shrewsbury and Newport Canal Trust is Bernie Jones. He was forever making calls and organising permission for us to film on the various privately owned areas along the old navigation. Without Bernie’s cooperation this episode couldn’t have been made. He has not only smoothed the path with officialdom, but also ferried Jimmy and I about from pillar to post to ensure we got the best shots. There will be more photos and behind the scenes information as the project continues. In the meantime, if you have enjoyed the preview videos and posts on this project, do let us know in the comments area below. We would love to hear from you.